Each night, the walk back to the car seemed farther, but the line of cars at the official drop-off area at Austin High was enough to convince me that I’d made the right move. If I could split the cost, I would consider parking at Austin High, since the $20 daily fee goes to the band and I’m a proud alum (Loyal Forever!) Biking always seems like a great idea, although if you wait until the end of the night, walking your bike in what becomes a river of humans seems a little stressful to me. I had a friend take the shuttle on Friday, and she remarked that it was harder to find parking near Republic Square Park on a weekday and that her bus driver was from out of town and made a wrong turn, which meant she missed part of the first band she was hoping to see. The scene on Day One: beautiful, clear skies; misters can be a Godsend; front row for Moats; running into friends on the way in. Unless the band was a known quantity (i.e., Pearl Jam), I employed the two-song test to determine whether to stay any longer at any particular stage. It was hard not to get antsy and listen to an entire set, knowing there were probably a few other bands playing at the same time that were worth seeing. On Friday, we ended up at Night Terrors of 1927, James Bay, the Preatures, Moats, Capital Cities, Bleachers, Lake Street Dive and we attempted Sam Smith, although the crowd was massive. Knowing that we had several more days ahead of us, we called it a day soon after Sam Smith. My favorites of the day were James Bay, Capital Cities and Bleachers. I can’t resist a British guy and his guitar, it seems, so James Bay’s set was a great way to kick off the afternoon. 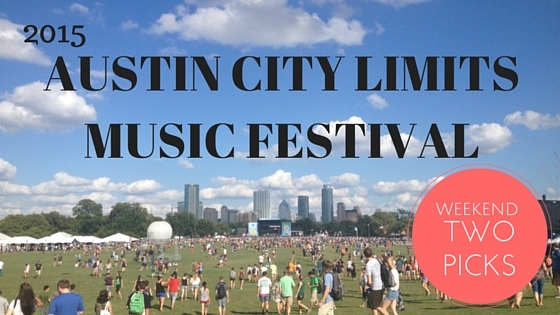 Capital Cities is my son’s favorite band, and I’ve got to admit that the music is perfect for an outdoor festival. Bleachers gave a great performance (if you can’t recall who they are, here is “I Wanna Get Better”), and it helped that we were pretty close to the stage to take in the set. On Saturday, I ended up walking part of the way into the festival with the band I interviewed, Moats, which was a funny coincidence. I caught parts of Blue Bear, Wild Moccasins, The Chain Gang of 1974, Spanish Gold, the Hunts, Benjamin Booker, Nightbox, Mac DeMarco, the Rosebuds, Falls, Zoé, tUnE-yArDs, The Head and the Heart, The Avett Brothers, Broken Bells, Eminem and Skrillex. So much great music to choose from, but my favorites were Blue Bear, the Hunts, Nightbox, the Rosebuds and The Head and the Heart. I’m always blown away by at least one local band, and this year it was indie/folk Blue Bear. I had been looking forward to the Hunts, and they did not disappoint with their perfect harmonies (here’s the video for “Make This Leap”). 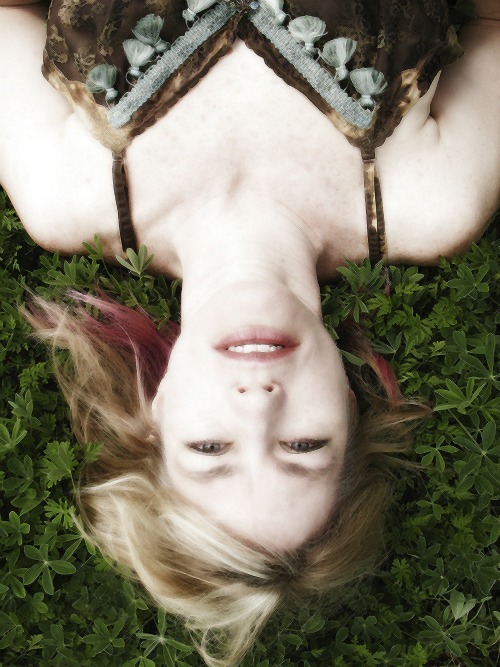 My friend Laura described Nightbox well: “If New Order had an Irish baby who was cousins with Phoenix”. Somehow I missed the Rosebuds in my pre-ACL research, so the band was my surprise of the weekend. The Head and the Heart was the band I was most looking forward to all weekend, and although we were far back in the crowd, it was the highlight of my day. Going into the weekend, I was looking forward to Eminem, but we bailed pretty early on and headed over to Skrillex. Somehow, we mustered the energy to keep moving through a half hour of his pumping, captivating set that kept everyone in the crowd wildly dancing. The final day of ACL I got off to a later start than I hoped, so I just made it in time for the end of Dawn and Hawkes and also caught parts of MØ, Reuben and the Dark, Miniature Tigers, Jamestown Revival, Cults, Jhene Aiko, Fitz and the Tantrums, Phantogram, Jenny Lewis, Real Estate and The Replacements. We camped out after The Replacements so we’d be closer for Pearl Jam (and, truth be told, we were ready to sit down for a little bit). 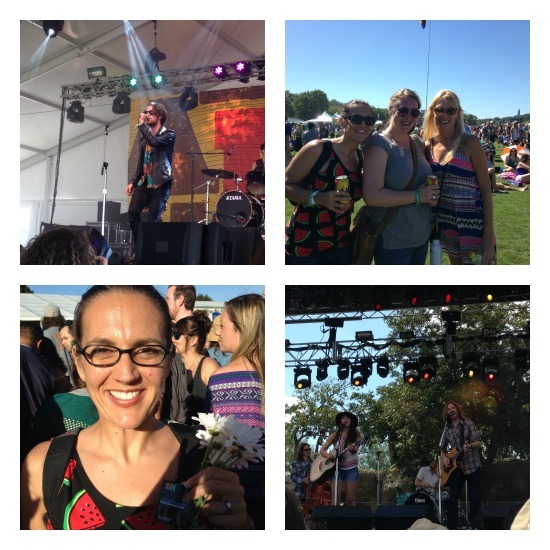 My favorites from the last day were Jamestown Revival, Fitz and the Tantrums, Real Estate and Pearl Jam. I’ll be honest, Jamestown Revival is easy on the eyes, and the crowd was super energized under the cover of the Sculpture Tent. 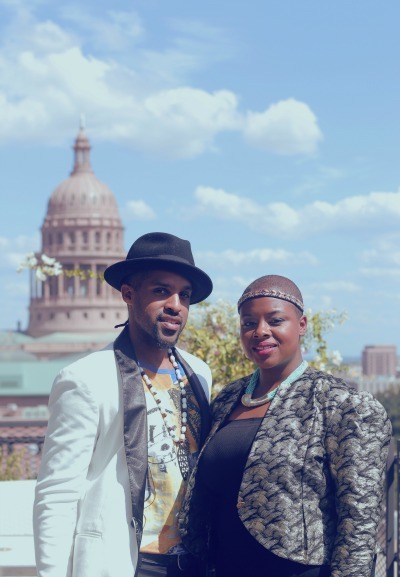 The band closed with the catchy “California”, which chronicles their departure from their home state of Texas and the duo’s eventual return to Austin, which they now call home. Fitz and the Tantrums delivered in front of a large crowd on one of ACL’s main stages with an energetic set. We made it over to Real Estate just in time to hear most of my favorite song of theirs, “Talking Backwards”. At first, we talked about splitting our time between Pearl Jam and Calvin Harris, but I decided that if I looked back on the weekend, I would regret not watching all of Pearl Jam but wouldn’t regret missing Calvin Harris. I’m glad we stayed put. Although there were many songs I didn’t recognize, the band certainly put on a great show and mixed in many old favorites with new songs and a dose of political commentary. Nightbox; enjoying the Fest with Heidi, covering for ACLwithkids.com; got lots of compliments on my $7 H&M watermelon tank top; Dawn & Hawkes on Sunday. 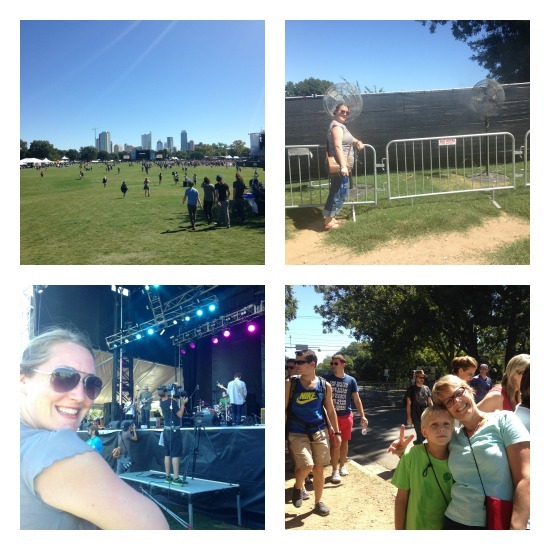 Even after writing articles like “Tips to Make ACL 2014 Your Best Yet”, I forget to bring things to the festival. On Friday, I stuffed my rain jacket (to sit on), phone charger, cash, Wet Ones singles, an extra hair rubber band, sunscreen, sunglasses, a water bottle, band cheat sheets (yes, I have a spreadsheet), deodorant, and a pen and small notebook into a small backpack I have. I had forgotten gum, ibuprofen (yes, I’m old) and a koozie. On day two, I forgot my phone charger but brought gum (which I never ended up chewing) and a koozie and left the rain jacket at home. Despite the fact that the weather cooled off just in time for ACL, the heat index always seems higher to me out at Zilker, and I am glad on the days I opt for shorts and a tank top. On Friday, I wore the booties I had worn the year prior, but ended up with a mean blister, so I went with flip flops the rest of the weekend, which was rough at times (probably had the back of my flip flops stepped on 20 times), but worked out fine in the end. Even with cooler temperatures on Saturday, I regretted wearing jeans. The denim shorts I wore to ACL were very short by my standards, but compared to the number of girls’ derrieres I saw hanging out throughout the weekend, I felt like a grandma. I was reminded quickly that I needn’t agonize over clothing at the festival, as literally anything goes, clothing-wise, from the Woodstock look to bikini tops to midriff tops for the ladies and kilts to Weekend at Bernie’s-meets-Love Boat for the bros. I was tempted to get a flash tatoo, like many of the ladies there, but never got around to it. The sky was that beautiful tone of blue you can only find in Texas all weekend, although there was some brief cloud cover on Sunday. No matter how you slice it, ACL involves getting sun, and lots of it, so make sure to apply sunscreen liberally and often. I noticed many sunburns by Sunday, often on the backs of legs and feet, which can get a surprising share of the sun’s rays. Bahn Mi pork belly tacos from The Peached Tortilla, a Nutella Frito pie from Chef Blaine Staniford at the Austin Food & Wine Festival booth (didn’t see this on the menu on the other days) and my Sunday go to: a Tiffwich from Tiff’s Treats. 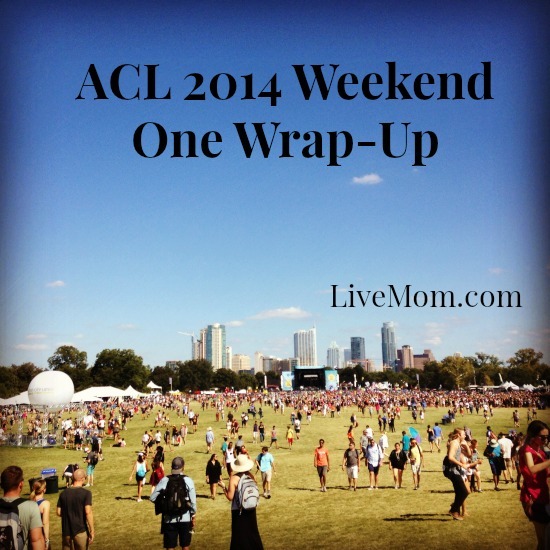 It’s no secret that the food at ACL is great. 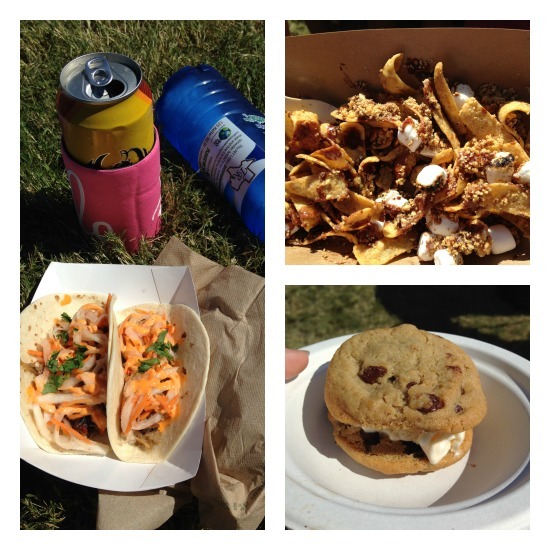 Even for us Austinites, there is no other event with such a variety of trailer food (and bricks and mortar) favorites. I ended up at the Food & Wine Festival booth twice over the weekend — once for a Nutella Frito Pie which was sinfully delicious and once for a Chicken and Apple Sausage on a potato bun. Otherwise, I will fully admit that I went with the shortest line so I didn’t miss out on music and tried to visit ACL Eats during off-peak times (2-4pm or so). The second day I went Cashless and was so glad I did. Although I activated my wristband at the festival, you can save time and do it at home. I did have one visit to the bar when Cashless didn’t work, but I had brought cash along just in case (and you can always use a credit card). Just nice to juggle one less thing (and you can easily add in gratuity). Many of the musicians, including Eddie Vedder, remark that the crowds are friendly, and I have to agree. 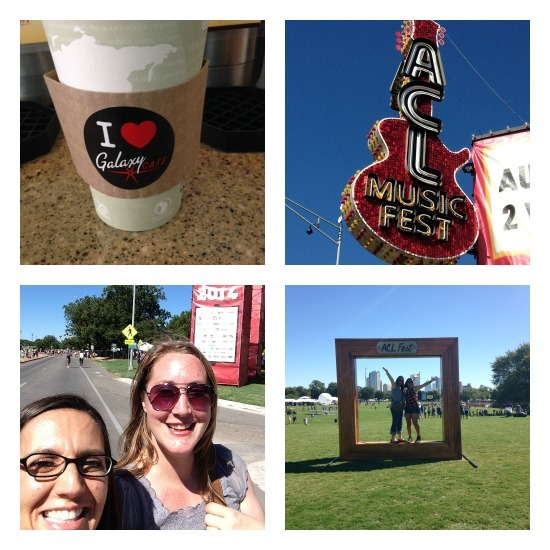 Yes, there are always going to be drunk, loud and obnoxious festivalgoers, but for the most part, ACL attendees are relatively easygoing. When you have tens of thousands of people gather for anything there will be a handful you would prefer not to have next to you in a crowd, and often some of the strange behavior contributes to the quality people watching. We briefly stopped in at Austin Kiddie Limits, and it seemed less crowded than normal. (Note: if you are heading out for Weekend Two, the Miller Lite stage just nearby always seems to have acts with slightly salty language). Although I’ve read several accounts to the contrary, this year I had a much easier time texting and posting updates to social media (I have Sprint, for what it’s worth and a pretty new-to-me iPhone5c). I’m always shocked at how many people I do end up running into (some, more than once!) during the weekend. I’m happy that there will be a live stream of Weekend Two so that I might have the chance to listen to a few of the bands I wish I had seen that I didn’t (Saints of Valory, St. Vincent, Belle & Sebastian, Interpol and Icona Pop). But mostly, I’ll be glad to just be remembering what a great time I had during Weekend One from the comfort of my couch. 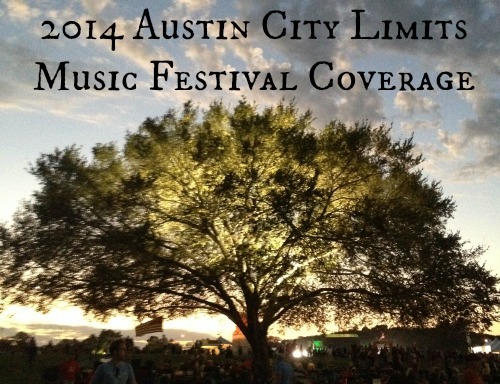 For those of you who attended Weekend One of ACL, what were your impressions? For you Weekend Two ticketholders, who are you most looking forward to seeing?